OPPORTUNITY KNOCKS! 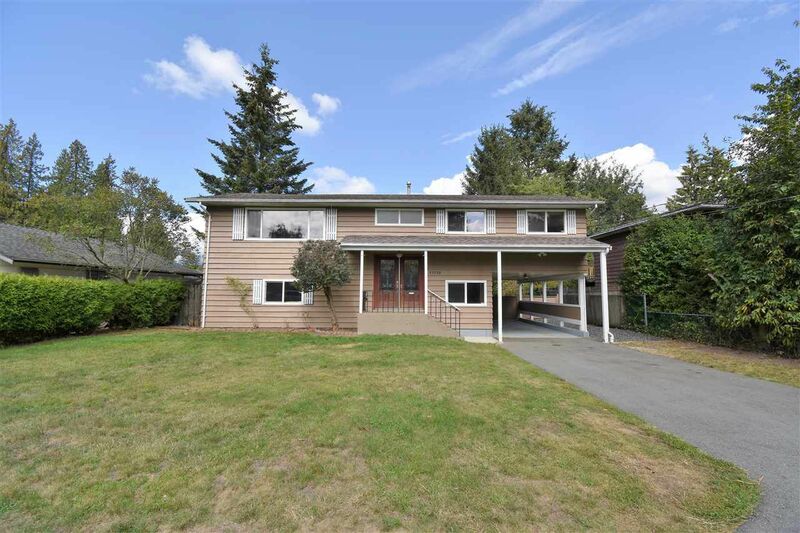 2 level home located on a WEST MAPLE RIDGE no thru street, this one has tonnes of potential! 3 bedrooms/1.5 baths on the main floor, spacious & bright living room with southern exposed picture window, kitchen & dining just waiting to be blown open into the Great Room plan! The basement offers a large bedroom, a big rec area, a bathroom, large laundry space with additional plumbing to bring your creativity to! Separate entry in place for those looking for suite potential! The large upgraded deck overlooks a HUGE BACKYARD that is a must for anyone who wants to entertain or for the kids to stretch their legs. LOTS OF PARKING available on the paved driveway, in the carport, or rear yard access through the carport.